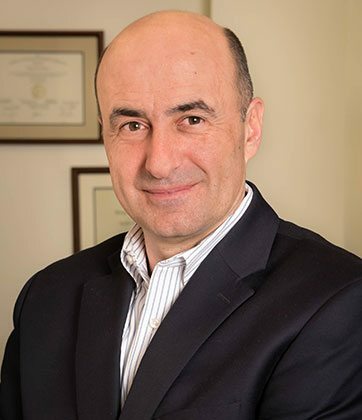 Dr. D. Bora Hazar is a board-certified nephrologist who has been practicing in the Boston area since 1994. A graduate of Istanbul University Faculty of Medicine, Dr. Hazar completed his internal medicine residency at Carney Hospital in Dorchester, Massachusetts and a nephrology fellowship at Massachusetts General Hospital. In 2017 and 2018, Dr. Hazar was named one of Boston’s Top Doctors by Boston magazine. He is a member of the American Society of Nephrology and has co-authored numerous clinical studies published in the Journal of the American Society of Nephrology, New England Journal of Medicine, and American Journal of Kidney Diseases. Dr. Hazar is also affiliated with Norwood Hospital, Carney Hospital, and Massachusetts General Hospital.